Another popular SARM used to treat osteoporosis and muscle wasting is Andarine. It showed great promise in Animal relates studies. Andarine was able to effectively increase muscle mass, strength and bone density. It was however abandoned in early human clinical tests. Andarine is quite popular among athletes due to its fat- reducing and muscle building effects. We have exhaustively discussed the uses and side effects of Andarine in this article. Also known as S-4, S-40503, or 8, Andarine is a SARM with the aim of treating muscle wasting and osteoporosis. Drugs/tablets that end up binding to the androgen receptor (AR), which is the main site of action of the hormone testosterone are called SARMs (Selective Androgen Receptor Modulator). 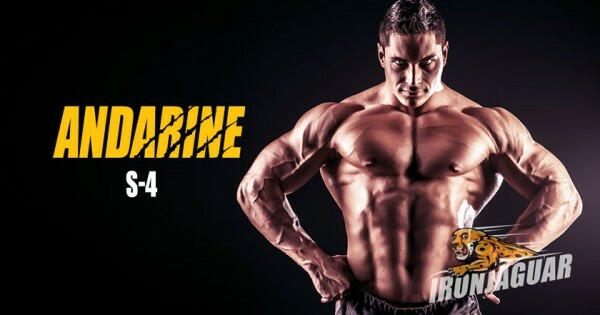 During the early days, Andarine was the ideal SARM because of its high muscle and bone building effects (after studies in Animals) and it’s great oral bioavailability. 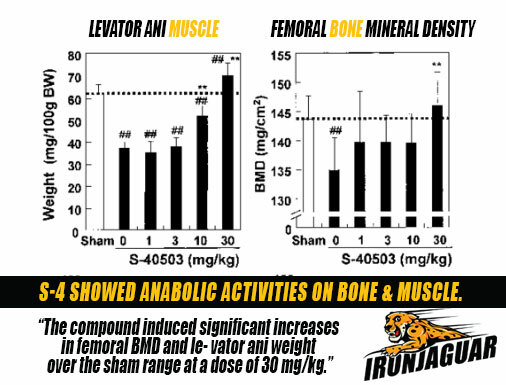 When S-40503 was administrated into orchiectomized (ORX) rats for 4 weeks, bone mineral density (BMD) of femur and muscle weight of levator ani were increased as markedly as DHT, but prostate weight was not elevated over the normal at any doses tested. Biol Pharm Bull. 2003 Nov;26(11):1563-9. Foremost human trials involving Andarine have had repeated success. However, studies are yet to be published. Further studies and development of this SARM was abandoned in favor of Ostarine, another SARM with a somewhat similar structure also known as S- 22. We can therefore conclude that it was either that Ostarine was more effective or due to the fact that S-4 causes vision- related effects. Andarine was able to increase strength and bone mineral density both in castrated male rats and in female rats whose ovaries had been removed. The SARM, S4 may be especially useful for osteoporosis because, not only does it increase bone density, it also helps to increase muscle strength which may then drastically reduce the risks of falling and fracture. After testing Andarine in female rats without ovaries, it was able to decrease body fat and improve bone strength. 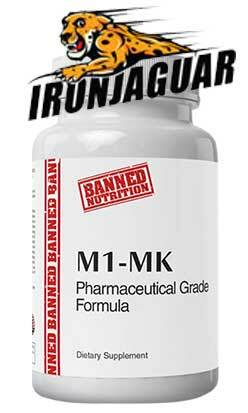 This SARM was developed in order to totally prevent muscle wasting. Animal studies have shown that Andarine truly leads to increased strength in Animals and improves muscle growth. When Andarine was administered to castrated rats for 4 weeks, it increased muscle weight as markedly as DHT (dihydrotestosterone). Furthermore, unlike DHT, it caused no prostrate enlargement, which is a major concern when taking steroids. S-4 was able to restore lean muscle mass in rats twelve weeks after castration. FSH (follicle stimulating hormone) and LH (luteinizing hormone) results in productive hormones male and female alike. Their suppression has the possibility of suppressing normal testosterone/estrogen levels. Andarine was able to suppress FSH and LH in castrated rats where these hormones were elevated due to castration. It however had no effects whatsoever in normal male rats. It is however unknown just how much S-4 dosage would be able to result in a reduced testosterone/estrogen production levels in humans. The most frequent reported side effect are the various vision related issues such as a prolonged difficulty to see during night hours. After you has discounted the drug, these effects disappear. Higher doses of Andarine might cause stronger side effects. Depression is also one of the side effects reported by users of Andarine. Since the year 2008, the US anti- Doping Agency (USADA) has considered the use of SARMs as doping, and these drugs are also on the World anti- Doping Agency (WADA) prohibited lists. If you are a professional athlete or in competitive sports, Andarine should be totally avoided. FDA has not yet approved the drug for any purpose. Legally, S-4 still falls into a gray area and is available as a supplement. Users can easily buy Andarine and use it as a supplement. Currently, there is no set dose for this drug. This is because there are no publicly available clinical trials. Most recommendation stem from personal experiences on forums related to bodybuilding. The common dosing range is 50 to 75 mg per day. Users can divide S-4 into 3 doses and take them with meals). Some recommended starting with much more lower doses such as 25 to 50 mg per day. This helps to reduce the risk of side effects. 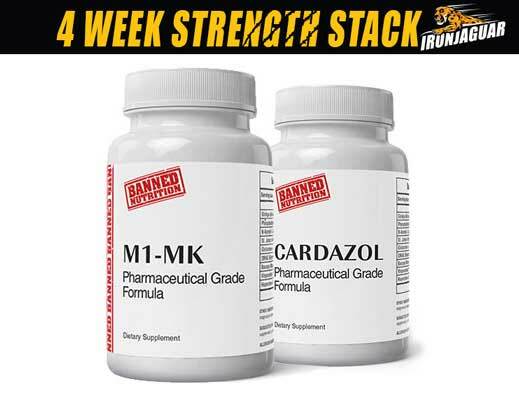 Most times, bodybuilders stack S-4 with other sarms or anabolic steroids. In dogs and rats, this SARM is totally bioavailable. It has an average half- life of approximately 200 minutes. S-4 is not yet regulated, thus it’s quality and identity is often questionable. In a study of 44 products (including Andarine) marketed as SARMs, only 52% actually contained SARMs. A whole lot were inaccurately labeled. This SARM is a promising candidate for treating muscle wasting and osteoporosis. These benefits have not yet been explored in humans or the studies are not yet available for public consumption. Researchers mainly tested Andarine in rats. Though you can buy or use it as a supplement, it’s long term risks and benefits to humans are still unknown. The list below is based on the experiences of users of Andarine. Dosage was also a major factor when basing these experiences.